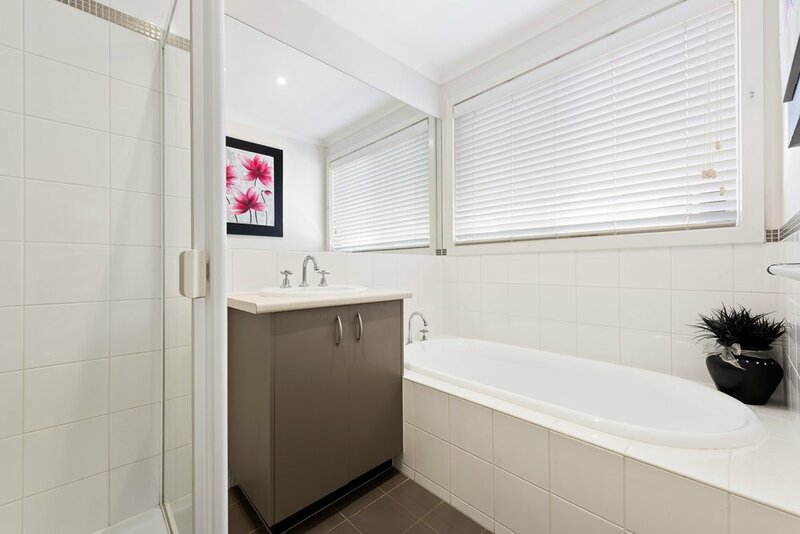 Peacefully tucked in a quiet circuit, an easy stroll to parklands, local shops and bus service, this immaculately presented three bedroom two bathroom townhouse will entice market entrants, investors and downsizers alike. The principal living domain resides to the rear of the home, where a generous open floor plan combines the dining, living and kitchen spaces, enjoying a sunny northerly aspect. Meal times and entertaining is made easy with a suite of Stainless steel Omega appliances including dishwasher, four burner gas cook top and a wall oven, further enhanced by ample bench and cupboard space. Celebrations are well catered for with a spectacular outdoor entertaining area, where an expansive covered deck provides year round enjoyment closed in with clear café blinds and complemented by lush, low maintenance surrounds. Upstairs hosts three well proportioned bedrooms, a bright master enjoys walk through mirrored robes to ensuite, while serviced by the central main bathroom are the remaining bedrooms, with BIR’s. Highlights include ducted heating, evaporative cooling, an integrated double remote garage with storage, alarm system, powder room and garden shed. 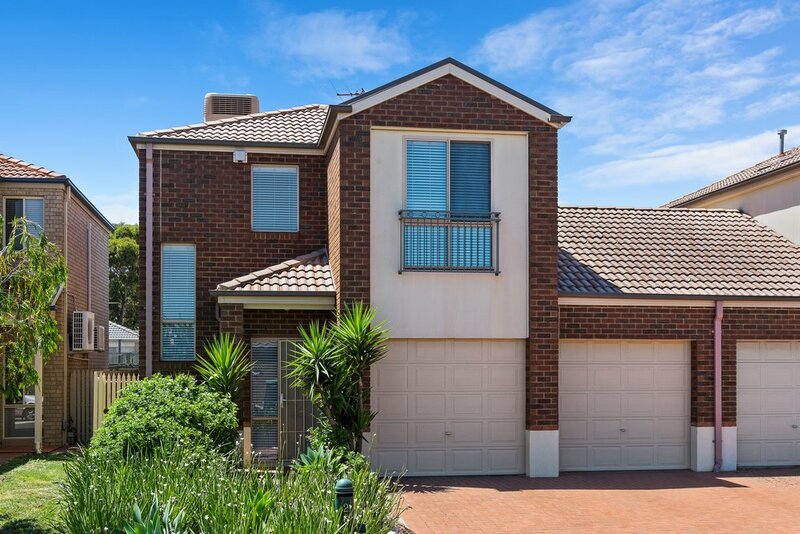 Desirably located within minutes of shopping centres, excellent schools and handy freeway access, this contemporary home promises a bright and rewarding future.